This is the shopping guide designed by the Environmental Working Group. I know for some people the cost of organic produce is sometimes prohibitive but here is a list that may be helpful in making choices. If you can’t afford organic apples then how about some pineapple or watermelon? 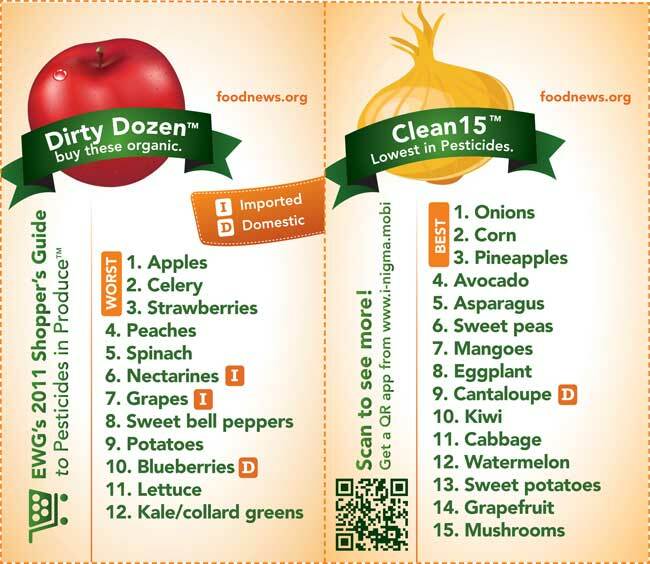 Even better how about taking these “dirty dozen” and grow those yourself? All of these things can be grown in containers and some of them even INDOORS! For more information regarding healthier produce check out the EWG.